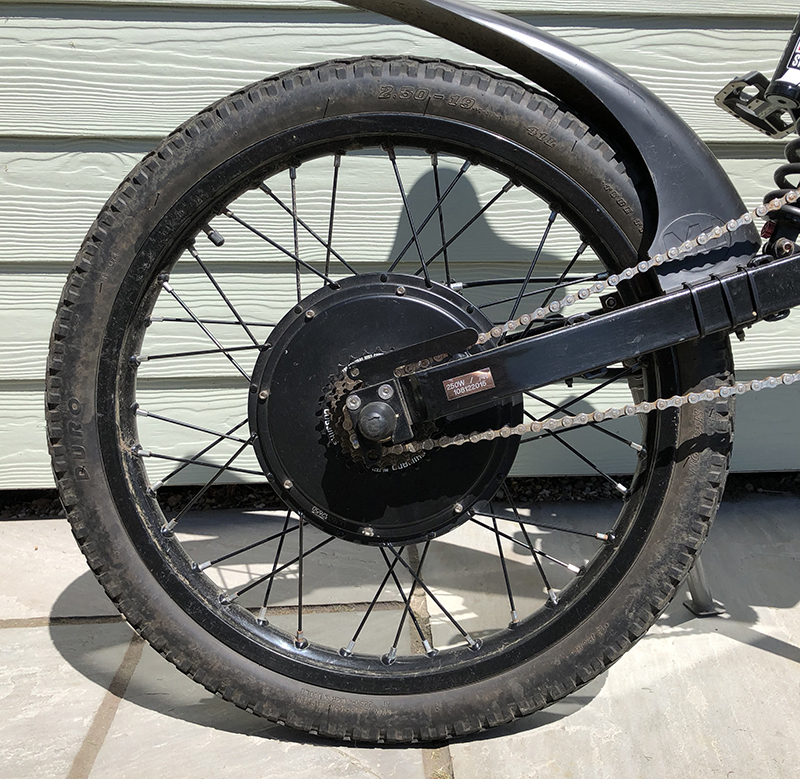 This is the front and rear wheel set for the Andy Kirby Ebike. The front wheel consists of 19 inch motorcylce rim with center hub prelaced for easy fitment to Rockshox or DNM forks. 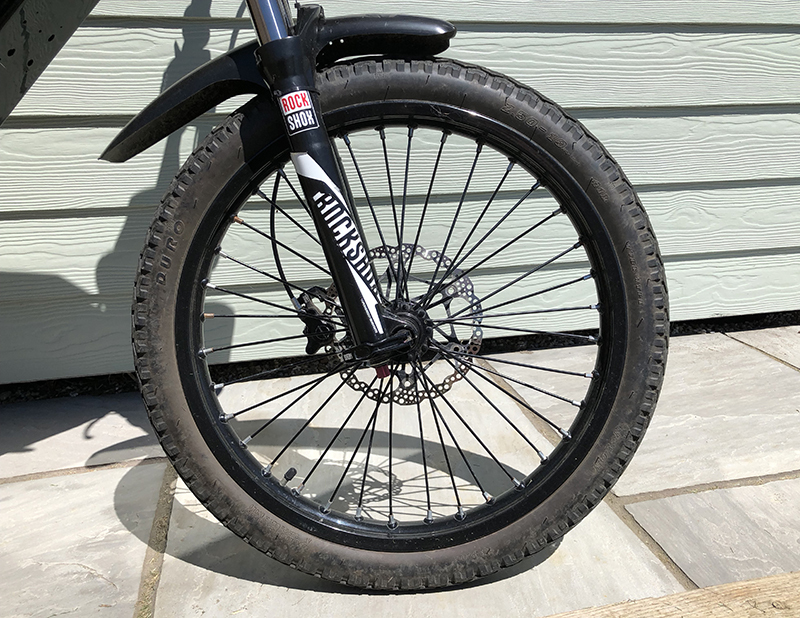 Tyre is a Duro The rear wheel is supplied with spokes ready to be laced to your motor of choice, supplied with tyre.